Frost on the ground, water in the cats’ bowl frozen, and my feet are cold! For the last two weeks, a cold weather snap from Alaska has invaded California. The farmers’ crops are threatened and my precious plants our frostbitten. What would I do with snow? I’ve searched online catalogs for slippers and shopped at the mall and cannot find a slipper that suits my fancy. I want a slipper for utilitarian purposes, not embellished with satin bows, a designer label or cartoon characters. Machine wash and dryable, provide warmth and comfort are what I seek, just like the knitted slippers I received every winter as a child. 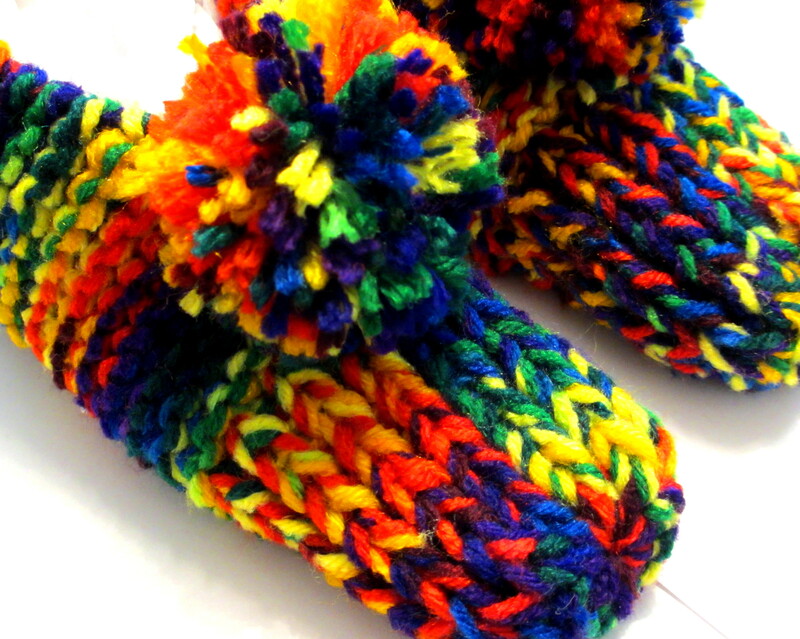 The slippers are knit with 4 ounces of worsted weight Coats & Clark’s Red Heart acrylic yarn held double, gathered at the toe and accented with a pom-pom. 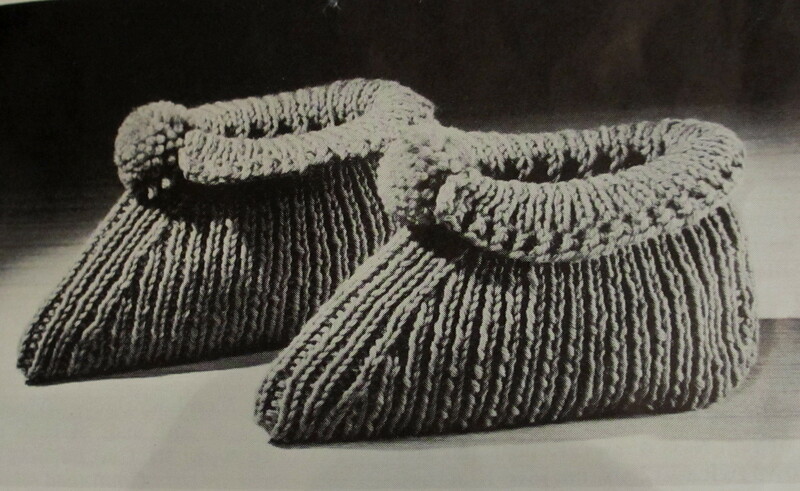 I looked online for the vintage 1940s knitted slipper pattern and found something similar to what I was searching for. At my lys, a patron wrote down a pattern for the slipper she knit while in college, but I discovered the instructions for the toe of the slipper were incomplete. While at a recycled bookstore, I found a book published in 2004 with an adaptation of a double-knit slipper pattern reminiscent of the vintage pattern. Well…I combined different parts of each pattern and came up with my own slipper pattern. On my quest to find the pattern, I came across the following in a vintage Coats and Clark’s Book No. 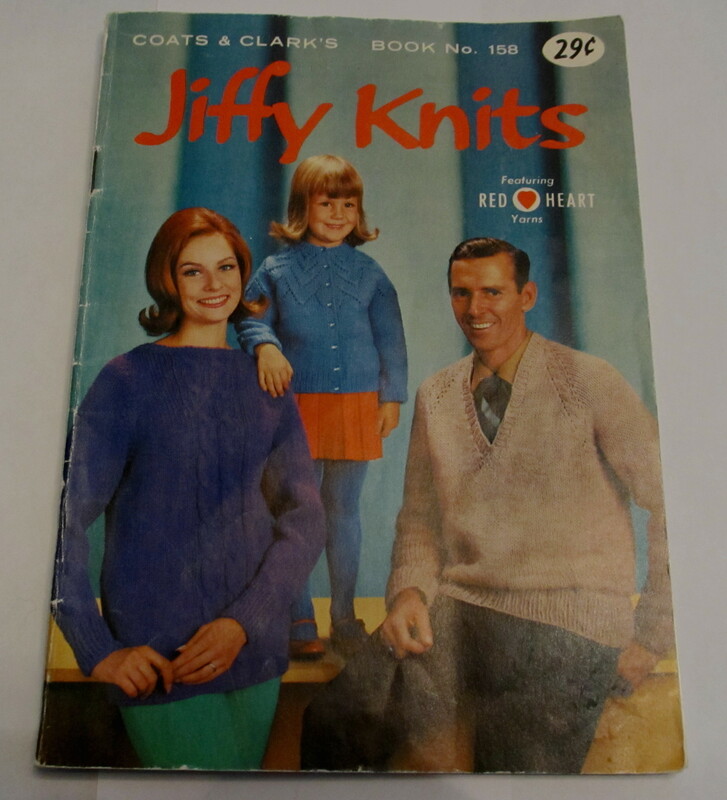 158 Jiffy Knits featuring Red Heart Yarns. 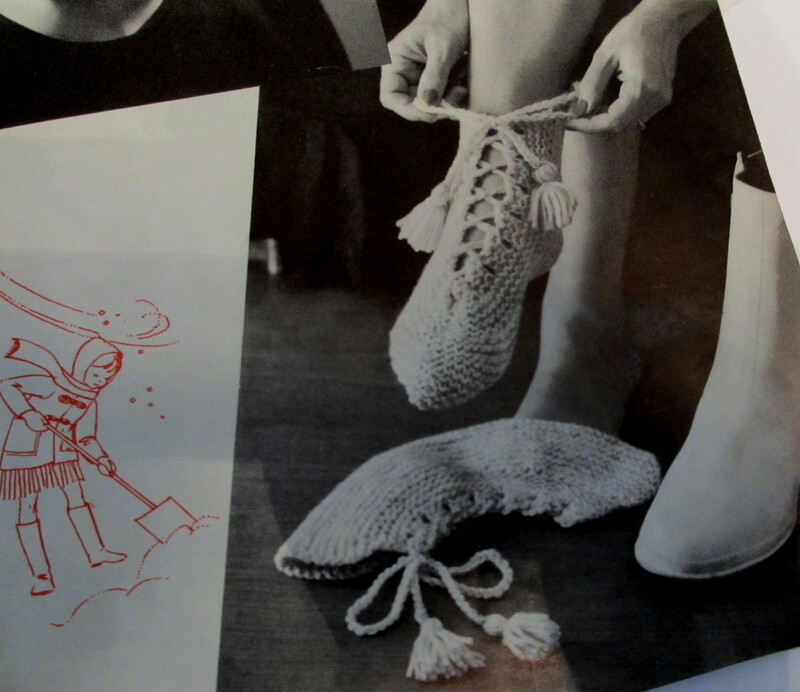 I found an interesting pattern for Women’s Stretch Slippers and an amusing pattern for One Skein Book Socks.